Born in 1916, Hu Jiwei was an old-hand within the Chinese Communist Party. He has worked in the Party's propaganda organ People's Daily and served as its Editor-in-Chief and Head for a long time, until he was forced to resign in 1983 for being too liberal-minded. After that, he mainly served in the figure-head position of being a member in the Standing Committee of the National People's Congress. After the martial law was imposed in 1989, the government appeared to be paralyzed and without real control. Hu Jiwei sought to bring the rubber-stamp SCNPC into the fold and exert its power that had existed only on paper. With the help of intellectual Cao Siyuan and others, they collected enough signatures from SCNPC members to demand an emergency meeting of the Committee to discuss the martial law and the state of the government. The meeting never materialized. Through reporter Gao Yu, he also tried to contact student leaders at Tiananmen Square directly and met some of them in his home, trying to persuade them to withdraw and leave the matter for legal procedures. Gao Yu had once successfully persuaded Wang Dan and drafted a withdraw statement for him, but the efforts eventually went fruitless. After the massacre, Hu Jiwei was stripped all his official positions and received a punishment of 2-year in-Party probation (which is short of expelling). But he refused to budge. A few years ago, he had written an essay commemorating Hu Yaobang and the Democracy Wall movement. According to his close friends, he has always concerned about the re-evaluation of the 1989 movement in his old years. 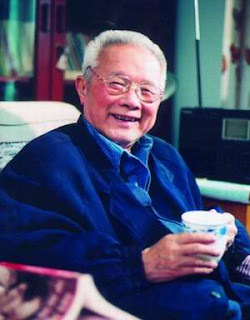 Hu Jiwei passed away on September 16, 2012. He had just celebrated his 96th birthday.